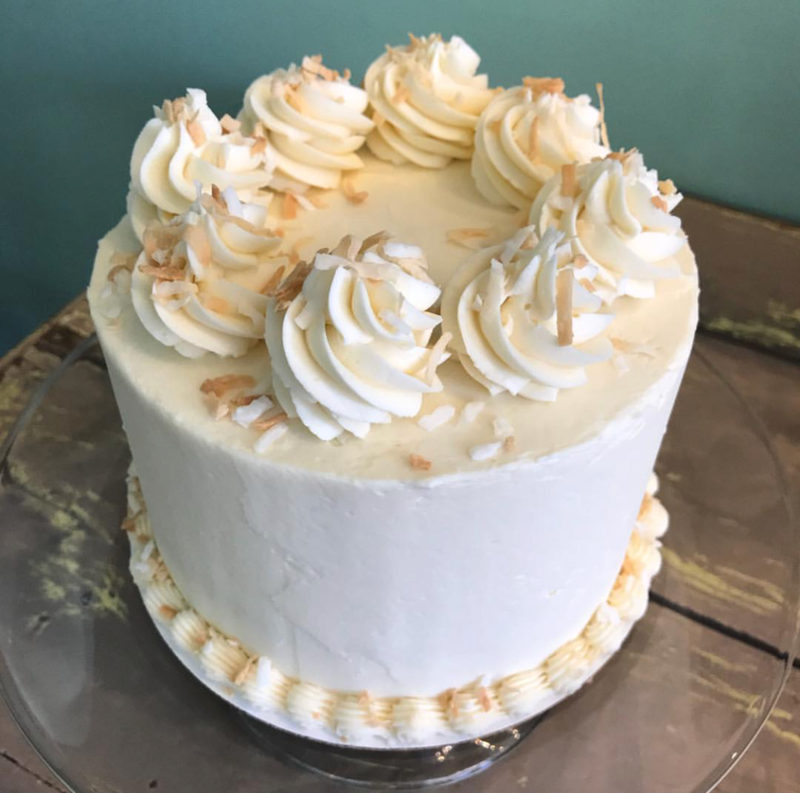 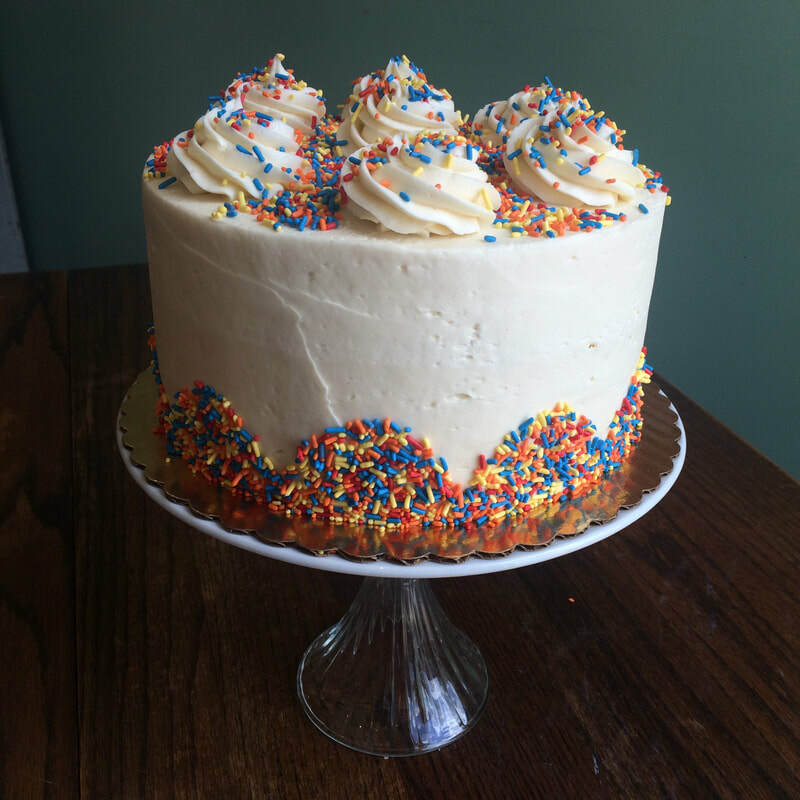 Our Classic Party Cakes typically fall under our Mix 'n Match Cake flavor offerings and are perfect for Birthdays, Anniversaries, Baptisms or Just Because. 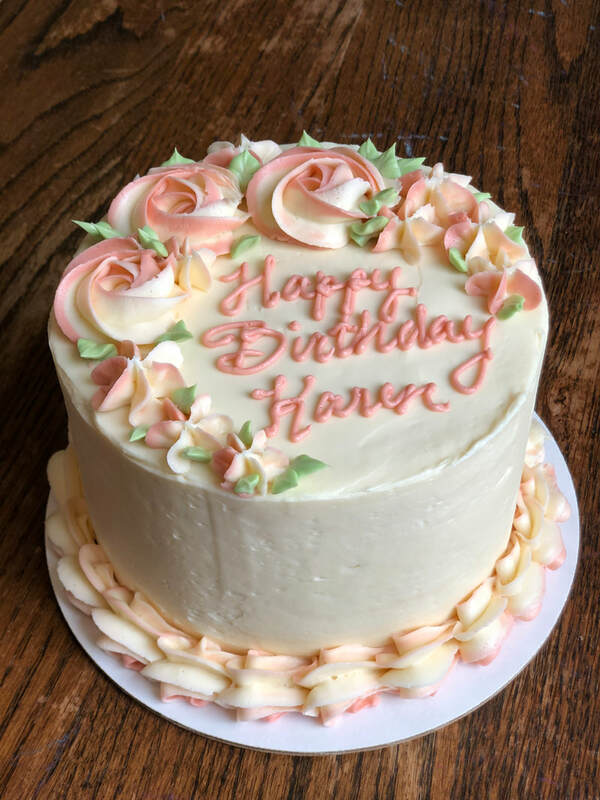 Standard decoration includes a smooth or rough sides, piped border or dollops, accent color of choice (pastels), custom message and sprinkles (or garnish) to match the flavor of your cake. 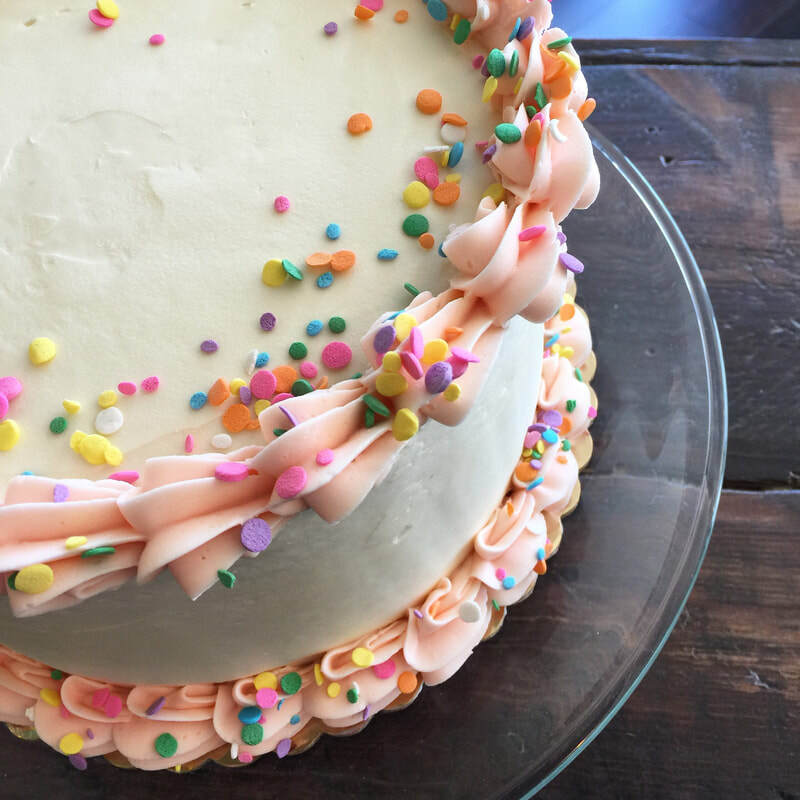 Upgrades such as fresh florals, rosettes or other decoration are also available!